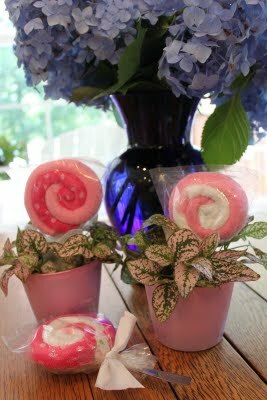 Create Studio made these cute 'lollipops' that are perfect for a newborn baby. 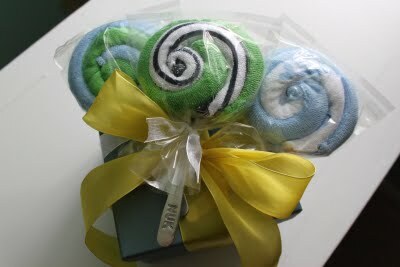 And a really cute way to wrap up a baby shower gift. You can check out how to make these with a couple of baby washcloths and a baby spoon HERE. I think I am going to see if I can get it to work with a couple of bibs! Lorie, great idea to use the bibs! I'd love to know how it turns out! I will let you know as soon as I get a chance to try them out. Someone I know needs to have a baby!